Are you a DIY investor, but want some structure to your investing? 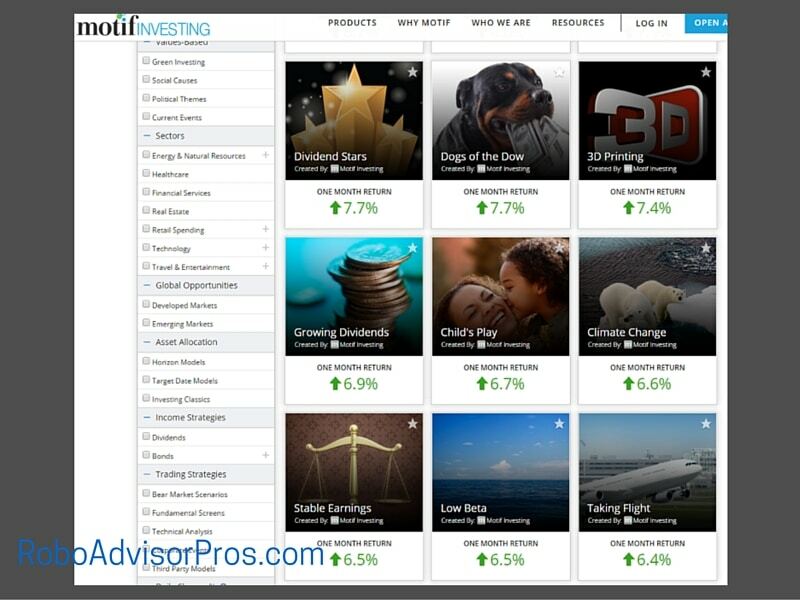 Are you deciding between going with a robo-advisor or DIY? Motif is definitely worth a look. Even if you’re a strict passive investor, there may be a place for Motif in your investing arsenal. 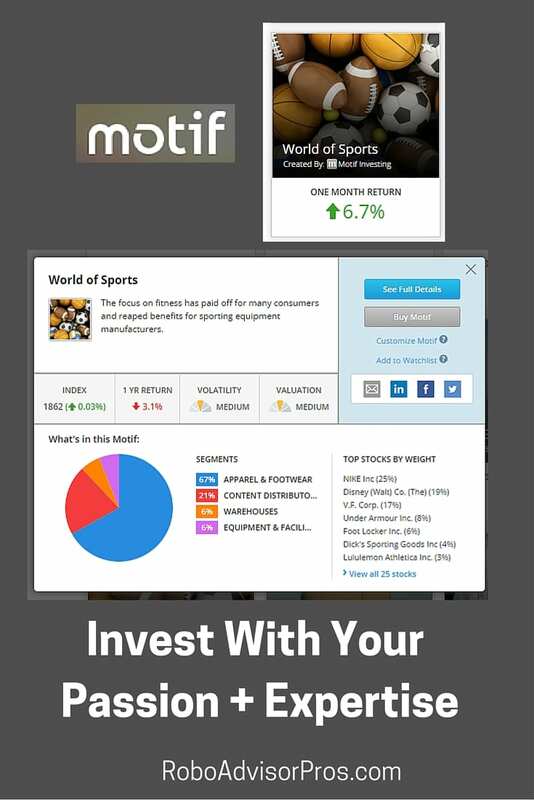 If you’re an active investor or trader, then Motif is a low cost way to professionally manage your investment portfolio. For example, I support a passive index fund investing approach with low fee index funds. The research is very clear that it’s tough to beat the indexes over the long term. Yet, once in a while I’ve got a hunch or an idea of a trend that I want to follow. For example, with prices so depressed in the energy sector, I’m considering a ‘contrarian’ play to capitalize on and invest in this sector. Typically, we take about 2-3% of our complete investment portfolio and invest it in more speculative investments. Some of this money goes into individual stocks. 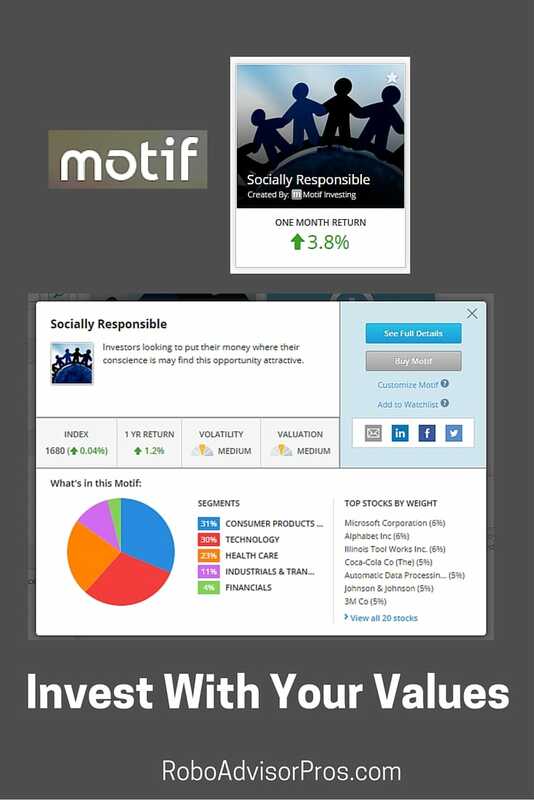 Motif is a superb platform for the investor who is deciding between a robo-advisor vs. DIY investing approach. In fact, the more I learn about this platform, I can’t find any reason not to try it out, regardless of your other investments. Motif is a good fit for almost every type of investor, and here’s why. You have investment ideas you want to put into practice. 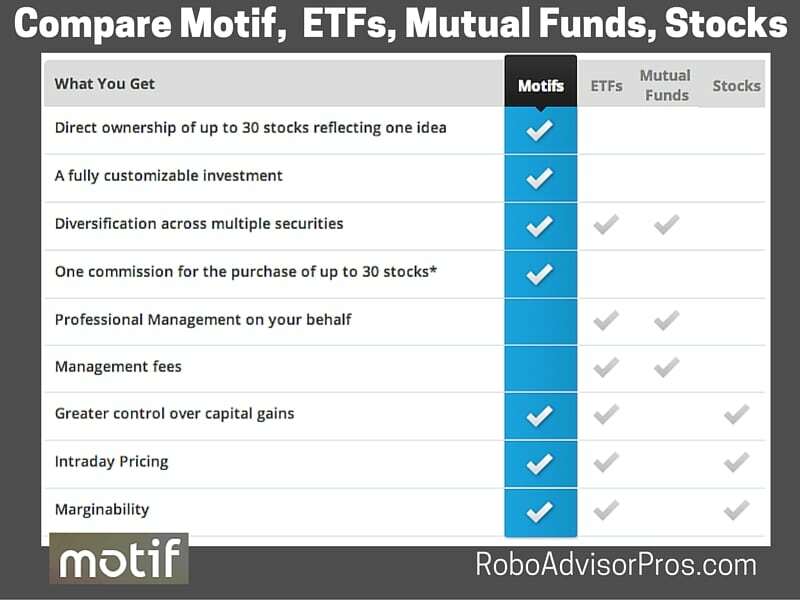 You’re interested in a free robo-advisor. 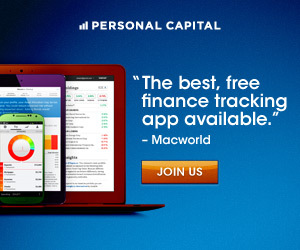 You want to benefit from thousands of otherpeoplesideas about investing trends. You want to actively manage, with some help, part or all of your investment portfolio. You wantcontrol and the ability to individualize the individual stocks that you own. You want to control when and how you realize capital gains and losses. You want the opportunity to trade with margin. You’d like to copy the investments of highly successful investors. You want to trade in real time. You want a complete lazy passive investment ETF portfolio for one low commission payment of $9.95. You’re a small investor who wants to get started investing with just $250. A Motif is a collection of stocks and/or ETFs that are bound together in a particular category. A motif might reflect a market segment such as ‘high yield dividends’ or a particular trend such as ‘3 D printing’. You can buy an already constructed Motif or create your own. And even if you buy a specific Motif, you can adjust the pre-selected percentages or drop a stock or two in the pre-created Motif. And there are many more categories. Check out the Motif website to see the various categories. You may be thinking, why not just buy a sector ETF instead of buying a Motif? Well, there aren’t sector ETFs that allow you to adjust the stocks within the sector and add or subtract companies from the exchange traded fund. James works at Google and holds a lot of their stock. He can eliminate this holding from a tech sector Motif so that his investment portfolio isn’t too over-weighted in Google stock. This customization idea is brilliant. At the risk of over-selling, I think Motif has a really smart concept. 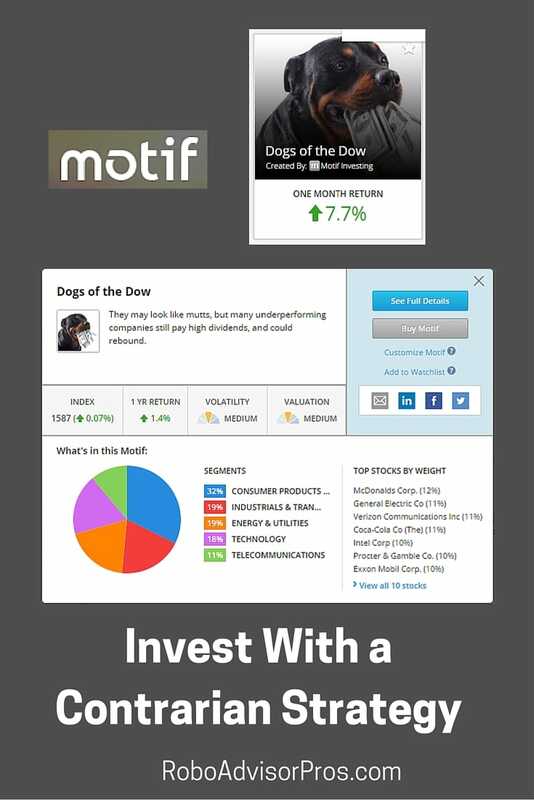 The next image of sample Motif’s includes 2 value-based investing favorites; Dogs of the Dow and Dividend Aristocrats. These sample Motif images are just a taste of the 150 professionally designed Motifs. Kendall is a 35 year professional, working in marketing. She contributes 10% of her salary to her workplace 401k and is invested in a target date 2045 fund. She’s setting her sites on a retirement age of 65. Kendall is considering investing an additional 2% of her salary per month in either a robo-advisor or DIY. After researching Motif, she decides to try her hand at investing in line with her values and specialized knowledge. For her third and final Motif, Kendall tries to beat the indexes with the ‘Dogs of the Dow’ strategy. Popularized by Michael Higgins in his book, “Beating the Dow”, these stocks are the 10 DOW industrial index members with the highest dividend yields each year. She likes this strategy because since 2,000 this strategy has returned 7.9% versus a 6.3% annualized return of the Dow Jones Industrial Average and a 5.8% return of the S&P 500, as of December 31, 2015. This is a great idea for those who want to go against the crowd. 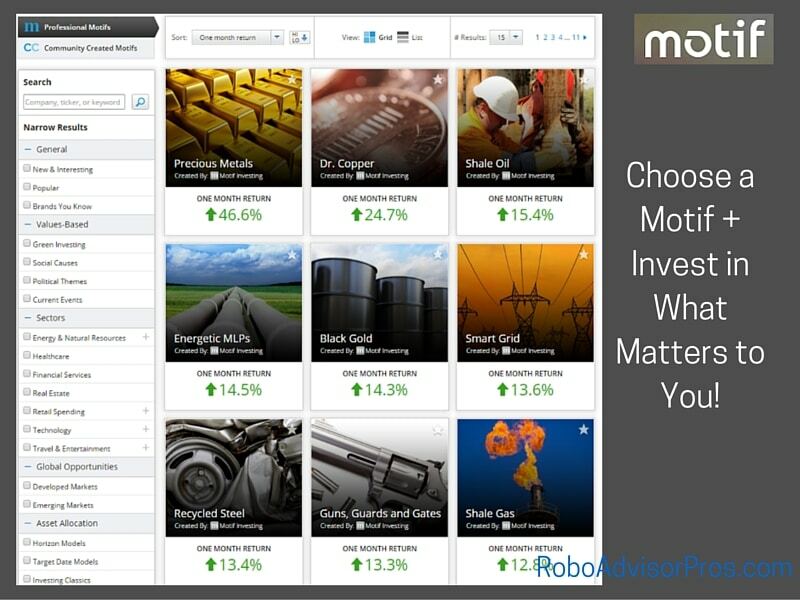 Not to be outdone by the other robo-advisors, Motif has a comparable digital product – Motif Horizon Portfolios. You choose the time frame for your investments, similar to a target date fund. Then you select your risk tolerance; conservative, moderate or aggressive. Fund your account, and Motif Horizon does the rest. There is no management or adminstrative fees for the Horizon portfolios. The only cost you’ll pay, which is unavoidable, are the underlying ETF management fees that go directly to the fund company, not to Motif. Click here to look around Motif and see if there’s an idea you want to track. The sign up is completely free! 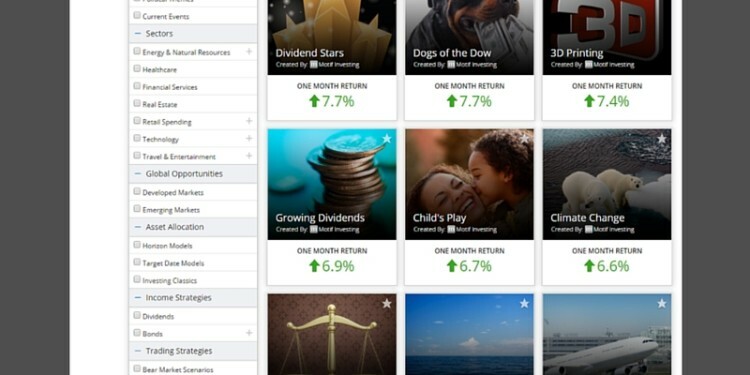 Betterment Review 2019 – Should I Sign Up for Betterment?